Just because you’ve cut out carbs, doesn’t mean you have to cut out your Starbucks as well! If you still want to make that morning (or afternoon!) Starbucks run, you just need to know how to order so that you can stay keto-compliant. To help, I’ve gathered up a bunch of tips to teach how to order keto at Starbucks. Luckily, it’s not that hard to find keto Starbucks drinks to order. There are plenty of options to choose so that you can stay keto and still enjoy your favorite coffee drinks. Coffee is a popular drink on the ketogenic diet. Black coffee is naturally low calorie — just 2 calories per cup. And, it has 0 carbs. Coffee only becomes a problem when you add lots of milk, sugar, or other flavorings to it. If you are preparing your keto coffee at home, you could try the ever popular Bulletproof Coffee. Bulletproof coffee — which is hot coffee combined with butter, coconut oil, and sometimes MCT oil — is a popular recipe with keto dieters because it gives them a big boost of energy from fat (and caffeine) without a lot of carbs. But, if you find yourself at Starbucks, you’ll need some tips to learn how to order keto-friendly coffees. I’m going to share with you my top tips for ordering keto drinks to at Starbucks. In general, you’ll want to follow these four simple steps. First, choose your coffee. Regular, decaf, or shots of espresso. Second, choose a flavoring syrup. For the keto diet, you want to choose a sugar-free option: Vanilla or Cinnamon Dolce. Starbucks usually puts three pumps of syrup in a tall drink, four pumps in a grande, and five in a venti. But you can ask for more or less. Keep in mind that the syrups still have a little under 1g of carbs per pump. Third, choose a milk or milk alternative. Traditional dairy milk has the highest carb count. But the almond and coconut milk options, while lower in carbs, still have sugar. If you want the lowest carb option, order your coffee with heavy cream. Watch the carbs and calories in the heavy cream though! An ounce of heavy cream has about 100 calories and a bit less than 1g of carbs. Don’t go replacing all the milk in your grande latte with heavy cream — that’d be like 1000 calories! It’s hard to know exactly how much heavy cream your barista will add. If you want to know exactly, you could ask for a shot’s worth of heavy cream — which is 1 ounce. Fourth, choose other modifiers. You can add sugar substitutes, stevia, cocoa powder, or cinnamon. Is there an upcharge for all the heavy cream? The standard is that if you add heavy cream as a condiment (defined by Starbucks as less than 4oz), you should not be charged an extra fee. If you are ordering a drink will with more than that — subbing all milk with heavy cream, for instance — there will likely be an upcharge. Here are the different milk and milk-alternative options offered at Starbucks. Keep in mind that the almond milk, coconut milk, and soy milk are all sweetened. Out of the four choices, I would suggest the almond milk, which has 6 net carbs per 12 oz serving. For example, a tall latte made with almond milk would have 80 calories, 5 grams fat, 7 grams carbs, 1 gram fiber, and 2 grams protein. Okay, before we get to the orders, I just have to say: Your barista is likely a very helpful — and very busy! 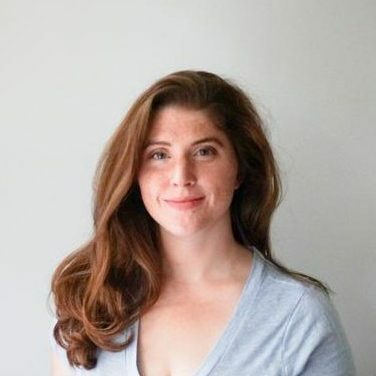 — person who doesn’t automatically know what you mean by “Keto Pink Drink”. Please do your research and know your order before you get to the front of the line. Brewed Coffee with Heavy Cream: Simple, classic, no fuss. One ounce of heavy cream has less than 1g of carbs. Keto Latte: Order a tall Cafe Americano, with an optional extra shot. Ask for 3/4 hot water, and the rest steamed heavy cream. That will give you 2-3 ounces of heavy cream in a 12-ounce drink. Keto Mocha Latte: Similar to the previous drink. Order a tall Cafe Americano with or without an extra shot. Ask for 3/4 water, and the rest with steamed heavy cream. Add a pump or two of the “skinny” mocha syrup. 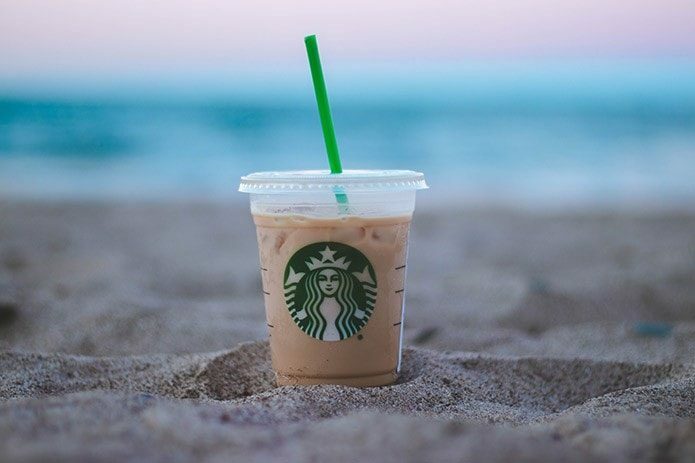 The skinny mocha is sugar-free, but still has carbs, so don’t go overboard with the pumps! 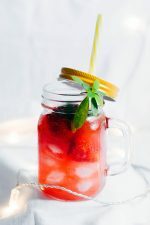 Keto Pink Drink: The famous, or infamous, keto pink drink. This isn’t going to taste like the normal Starbucks Pink Drink — it is its own thing. 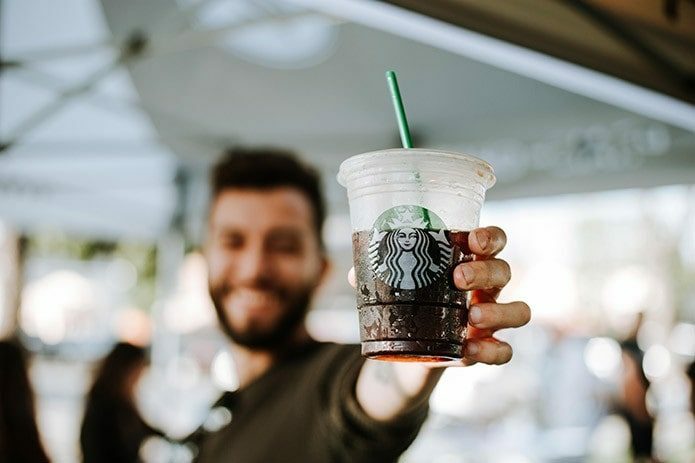 To order one, ask for Iced Passion Tea with no liquid cane sugar, 2-3 pumps of sugar-free vanilla syrup, and a light pour of heavy cream on top. Yes, it may separate. Yes, it will still taste okay. Iced Coffee: Black iced coffee seems like it would be keto, doesn’t it? But Starbucks adds pumps of “classic” sugar syrup to iced coffee orders by default. So, if you want to order iced coffee, just be sure to request “no classic” or “unsweetened to keep it keto. Iced Green Tea: Order an iced green tea, no classic, and add Peach or Pineapple infusion if you like. Vanilla Iced Coffee: Order iced coffee with no classic, one or two pumps of sugar-free vanilla syrup, and a splash of heavy cream. 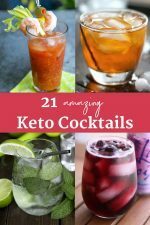 Keto White Drink: Here’s another yummy iced tea drink. Order Peach Citrus White Tea, iced, made with three or four pumps of sugar-free vanilla syrup and a splash of heavy cream. Remember to specify “no classic” or no liquid cane sugar. Keto Colada Drink: Sort of like a pina colada. Order an iced Black Tea, no classic, with the Pineapple Infusion. Add two or three pumps of sugar-free vanilla, and a splash of heavy cream or coconut milk. Iced Cinnamon Dolce “Latte”: Order an iced Americano, with an ounce or two of heavy cream. Add two or three pumps of sugar-free cinnamon dolce syrup. Nitro Cold Brew: Yum! The nitro cold brew is one of my favorites. It’s great all by itself, but you can try it with a couple pumps of sugar-free vanilla and light heavy cream. Keto London Fog Latte: Order a hot, brewed Earl Grey tea made with 2 tea bags, 2 shots of steamed heavy whipping cream, and one or two pumps of sugar-free vanilla syrup. 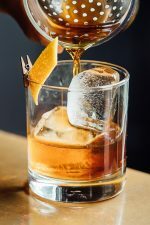 Keto Blonde Drink: Here’s another one of those insta-famous Keto drinks. Your barista probably won’t know this one, so here’s how you order: It’s 4 shots of blonde espresso, over ice in a Venti cup, with 3 pumps of sugar-free vanilla, 3 pumps of cinnamon dolce, and a splash of heavy cream. This is a higher-carb drink, too. Plan on about 7-9 carbs depending on the number of pumps and the amount of heavy cream. 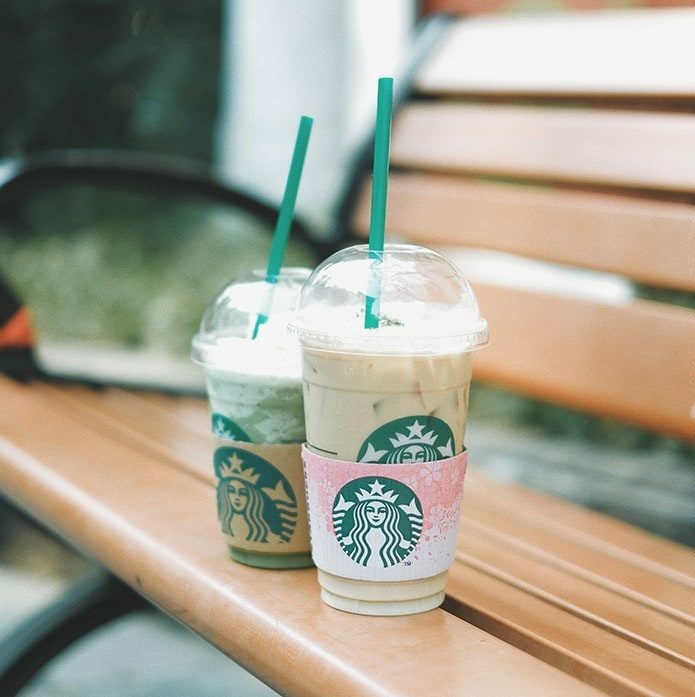 Frappuccino: The base that Starbucks uses in frappucinos has sugar already mixed in. The light base has 50% less sugar than the regular base — but it still has enough that I’d recommend avoiding it. If you really want a frappuccino style coffee, you can still ask for your drink to be blended without the base. Just be prepared for the texture of the resulting blended drink to be a bit grainy and icy. Refreshers: Yes, these look delicious — but they’ll set you back about 35 grams of carbs in a Grande. Regular syrups: Each pump of regular syrup has 5-6 carbs. White Mocha: There is no skinny or sugar-free version of this syrup. Matcha: The matcha tea is a mix that comes pre-sweetened. Chai: The chai is made with a mix that comes pre-sweetened. However, you can ask for the chai tea bags instead, which have no carbs. Need a snack to go with all that caffeine? Starbucks does have a few food options that are keto-friendly. Bypass the pastry case and go straight to the refrigerated and packaged snack sections. Most Starbucks will have packaged almonds or other nuts by the register. If you’re lucky, you’ll find a package of Moon Cheese — which are a crunchy snack made with 100% cheese. They are great for satisfying a craving for that crunchy texture! In the refrigerated section, there will likely be some cheese, or a cheese and salami tray. You can also try the Egg and Cheese protein box, and choose whether or not to eat the fruit. Some stores have a meal-sized BLT Turkey protein box – which is great if you leave off the bread. All in all, they are an okay option. They have more carbs than you’d think, but they’re still a decent choice. 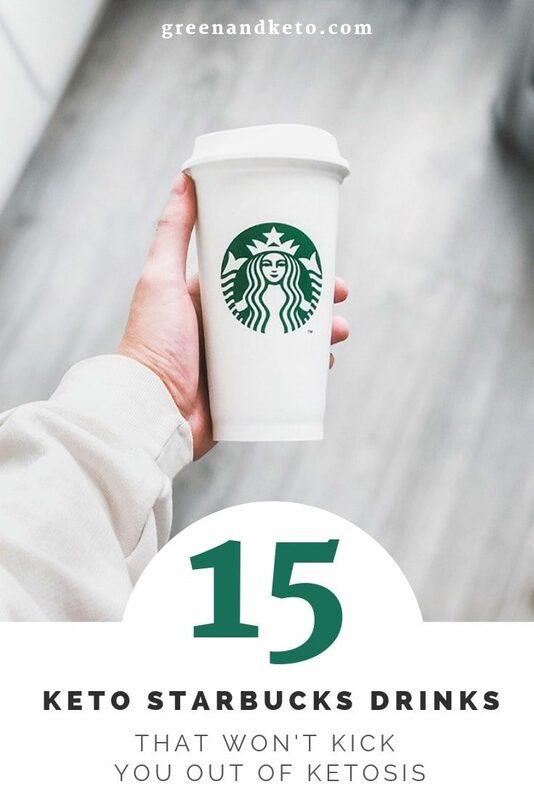 Do you have a favorite keto Starbucks drink that I forgot to mention? Go ahead and leave it in the comments!